Find Great Deals & Save with American Express This Holiday Season! Thanksgiving is over and now most people switch to "AHHHH what am I getting for everyone on my Christmas list!!!???" mode as they realize December is here in a couple days and Christmas will be here before we know it! It also means a time of spending money - money we may or may not have. If you are like me, you like to save money or get a great sale on everything you buy as gifts! That's why I use my American Express card because they have this great American Express Membership Rewards Program where you can get discounts from brands you love and you can redeem reward points instantly on your smart phone! So if you have an American Express card or want to save money, LISTEN UP! 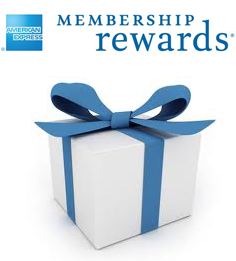 Through December, American Express Cardmembers can shop for all the people on their list and get some great gift ideas with Membership Rewards points for the Holiday here: http://bit.ly/MRCatalog. From travel, shopping, dining, and entertainment, it’s easy to shop for everyone on your list using Membership Rewards. Now if you are into saving money (and who isn't these days...), American Express is also helping with that! You can save on all the brands you love because from now through November 30, you’ll receive 20% off purchases from Michael Kors, Bose, LG, Wine Enthusiast, and Dyson! Click here to view these great deals from brands like LG Televisions, Michael Kors Handbags, Dyson, Bose, and so much more! When you are ready to redeem your Membership Rewards, remember you can redeem them right at your favorite stores like like Banana Republic, Gap, Old Navy, PBteen®, Pottery Barn®, Pottery Barn Kids®, West Elm® and William-Sonoma®! Or you can utilize the recently launched Mobile Gift Cards to purchase gift cards and use them instantly to pay with your smartphone! In addition to in-store purchases, Mobile Gift Cards can be used to pay online or over the phone. Want to learn more or want more information about Mobile Gift Cards? Head over to read the press release on American Express launching Mobile Gift Cards. Have an American Express card but not Membership Rewards? Click here to check on your card’s status and eligibility today. Don’t have an American Express card but want to get one? Click here to learn more and apply. So make sure to use your American Express card this holiday season to purchase all your gifts, to save money, get great deals and earn reward points towards great products and brands!